How to Clean Piano Keys. If you have a piano with stained or dirty keys, you can clean them yourself without the expense of a professional. Follow these steps. Clean ivory piano keys regularly by gently wiping them with a soft clean cloth. Occasionally wipe them with a weak solution of vinegar and warm water. 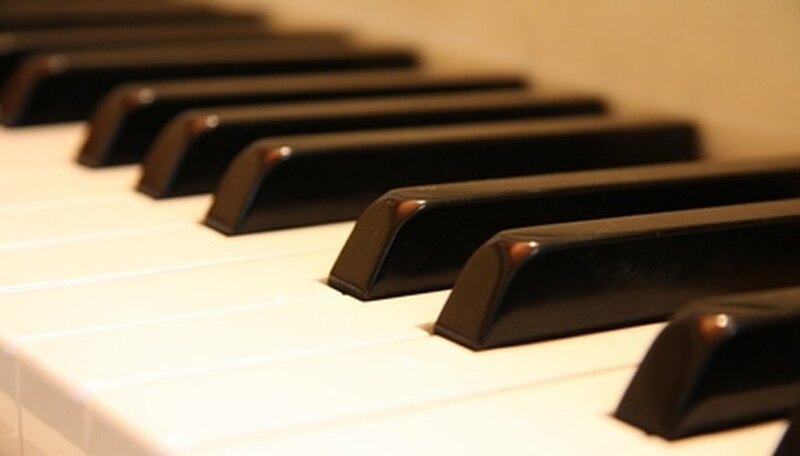 If you start this practice with a new piano and always wash your hands before playing it, this should be all you need to do to keep the keys from getting dirty. Squeeze a small amount of a mild non-colored toothpaste onto a damp lint free cloth, and gently rub the piano keys if they have light stains or dirty fingerprints on them. After gently rubbing in the toothpaste, wipe the keys clean with a second lint free cloth that has been dipped in fresh milk. Use the milk to rinse the toothpaste off the keys without using any harmful chemicals that discolor the ivory. Give the piano keys a few minutes to air dry, and then buff them with a clean lint free cloth. Keep the piano closed to protect the keys from dust and dirt. However it's a good idea to open it occasionally on sunny days; the light will help the keys stay bleached and prevent yellowing. If keys are badly discolored or stained, they may need to be scraped and recovered by a professional. Never use chemicals of any kind on ivory piano keys. Chemicals can act like abrasives and scratch or discolor the delicate surfaces. Never use a brush or scouring pad on keys. The scratches on the delicate ivory will look worse than the dirt you are removing. When using a damp cloth, be careful it is not so saturated that water will drip down the sides of the keys. Dampness in the keyboard can cause swelling which will affect play.